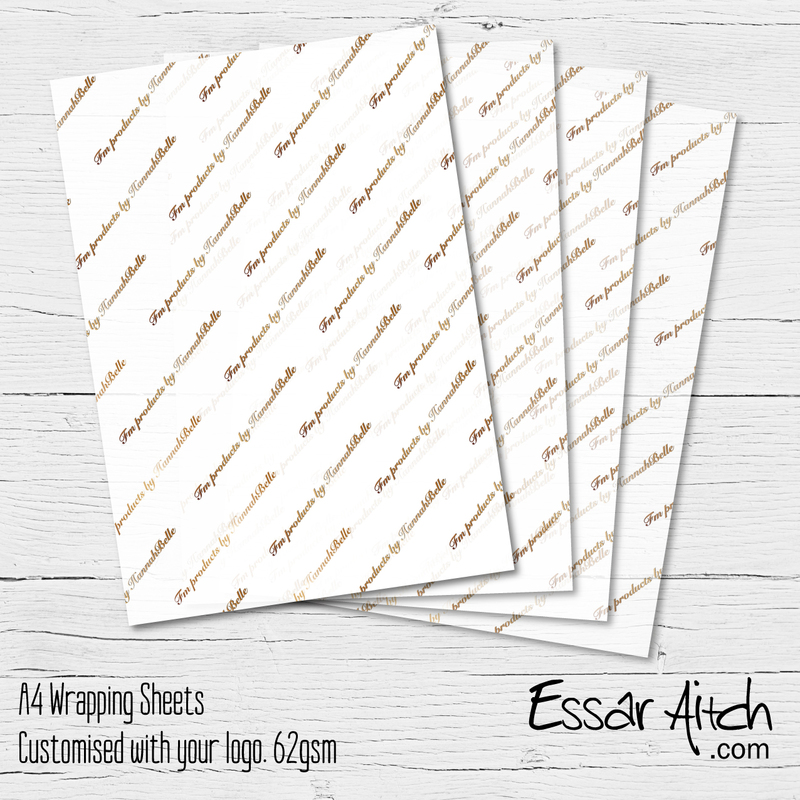 Wrap your beautiful products with this custom paper for the ultimate luxury finish. 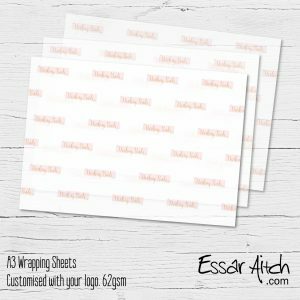 65gsm transulscent paper available in packs of 25, 50, 75 or 100 sheets. 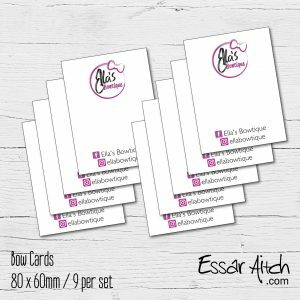 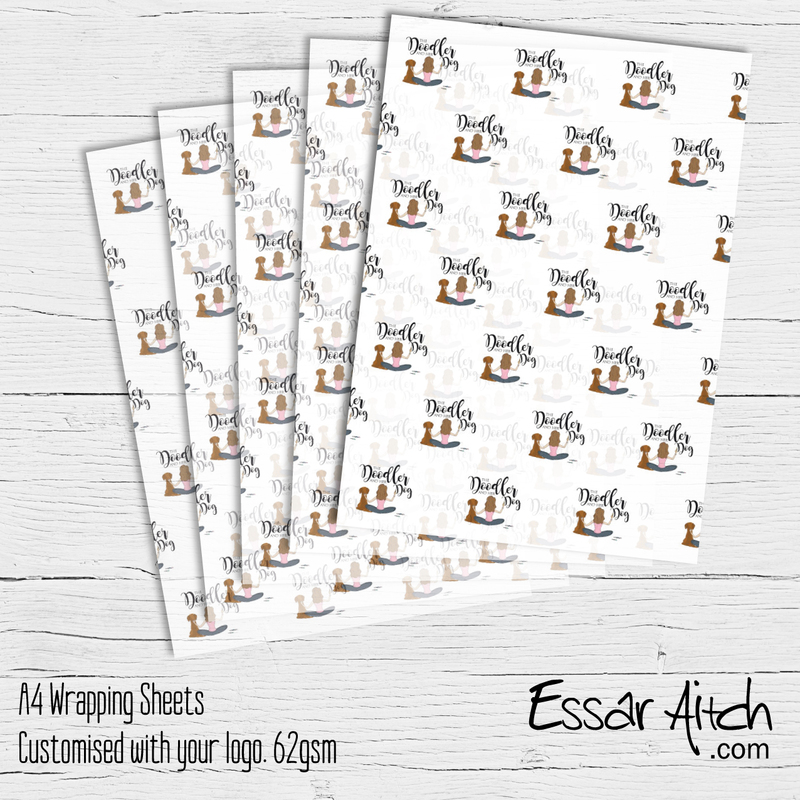 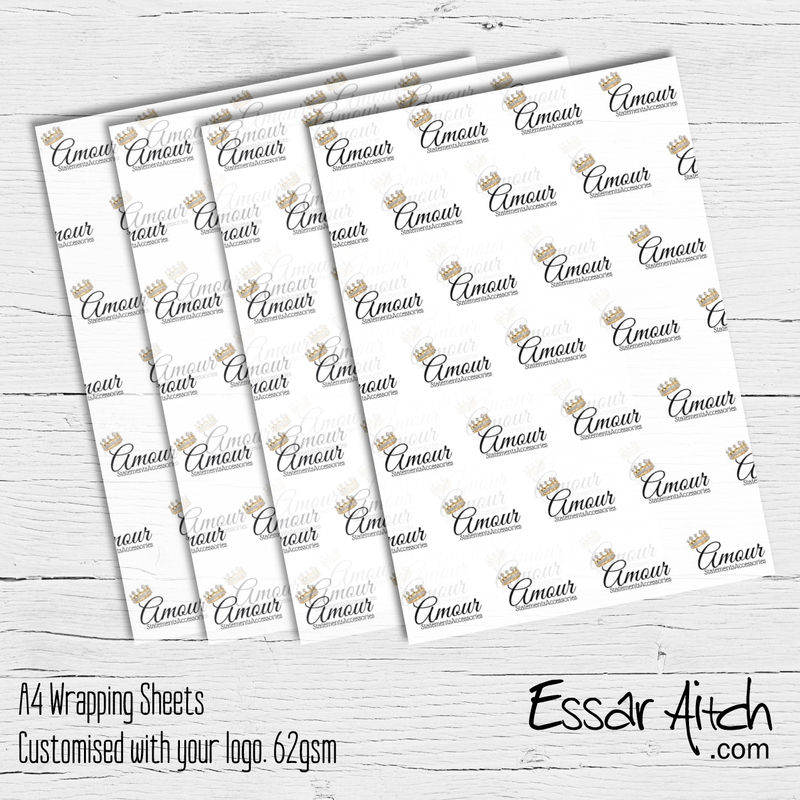 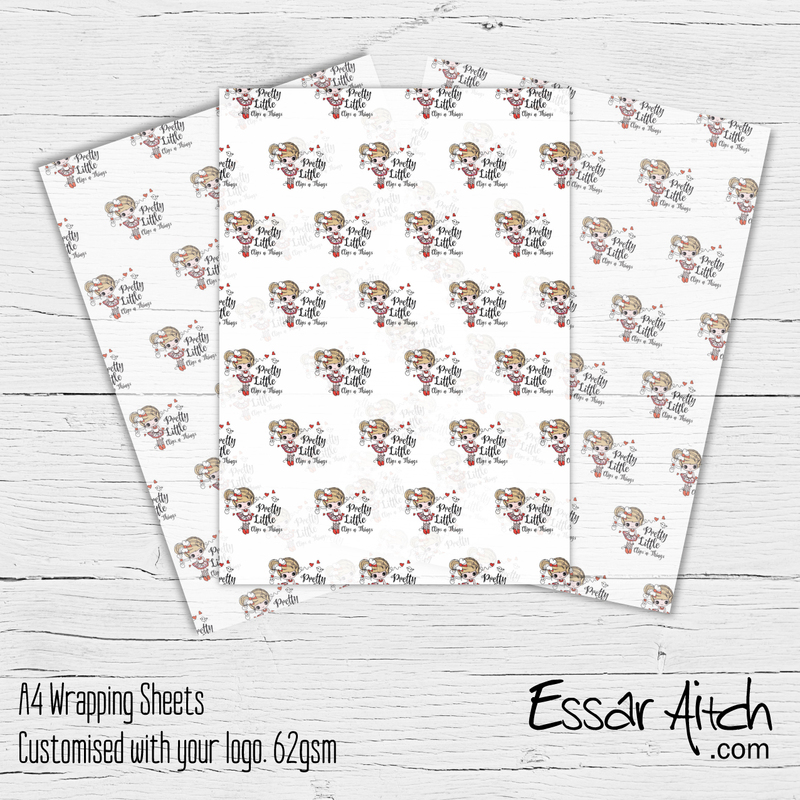 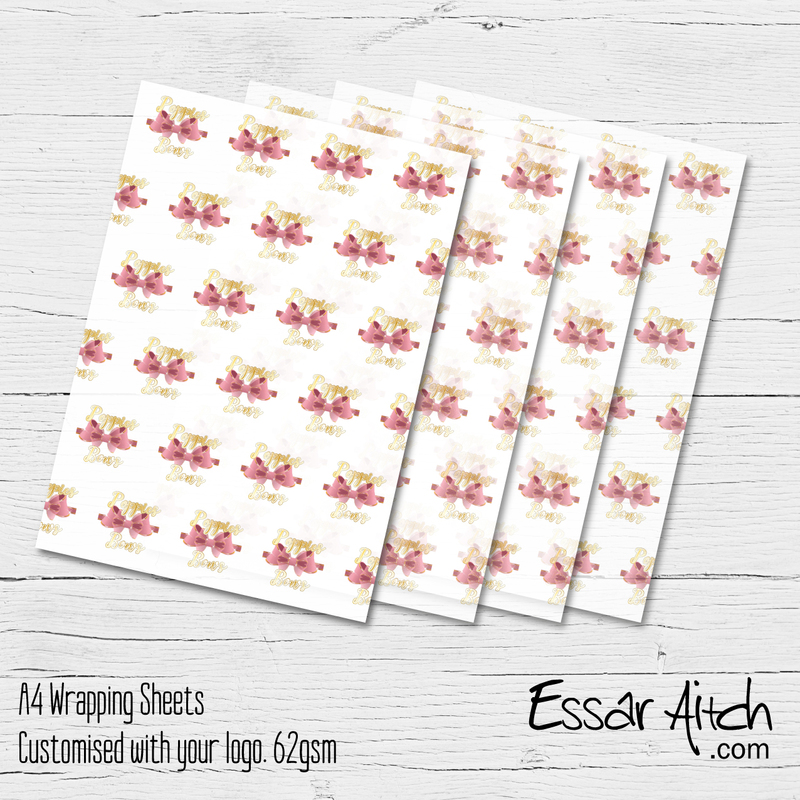 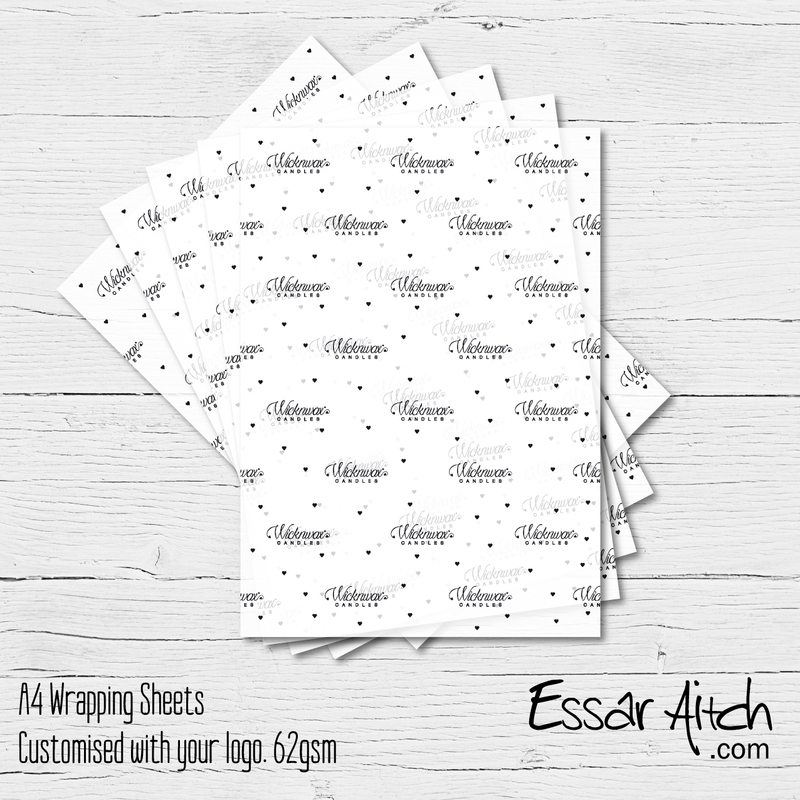 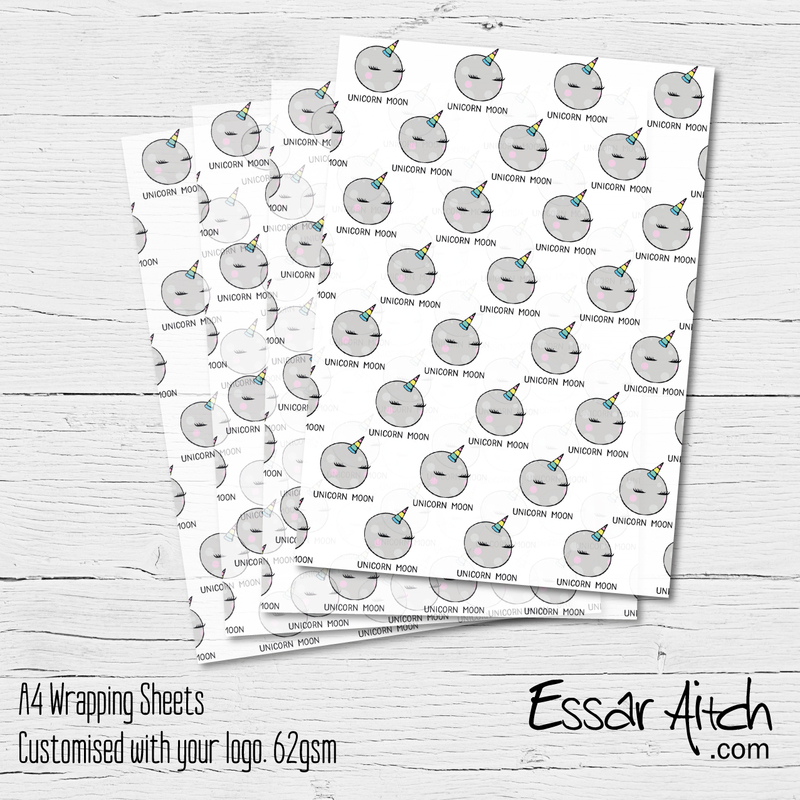 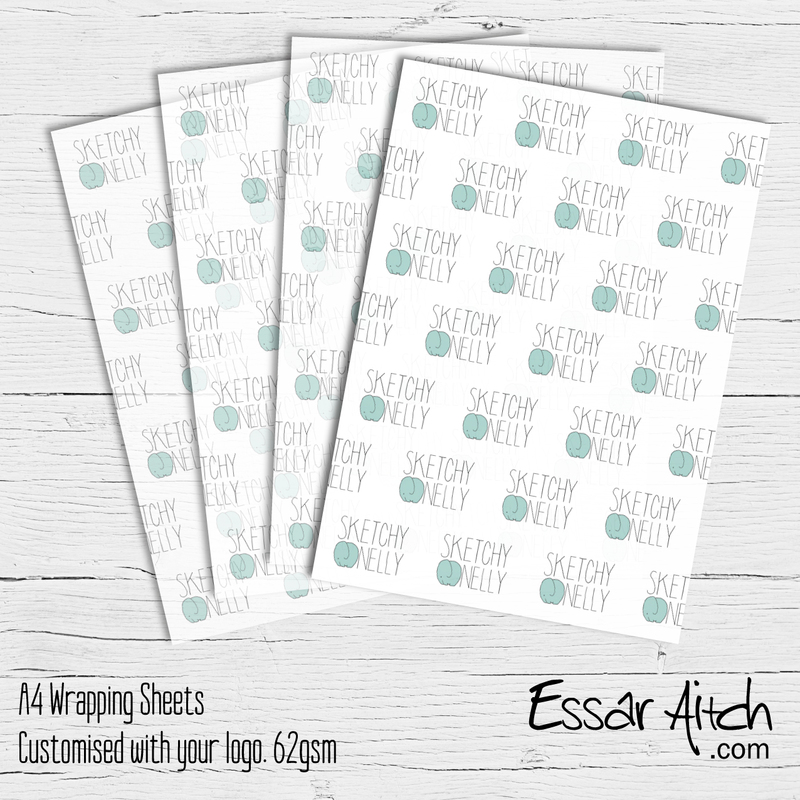 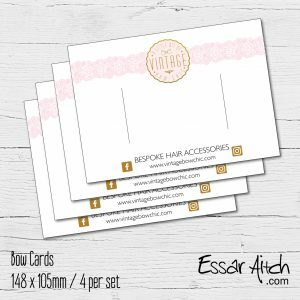 Artwork supplied by Essar Aitch, please email over your logo to essaraitchdesign@gmail.com after purchase. 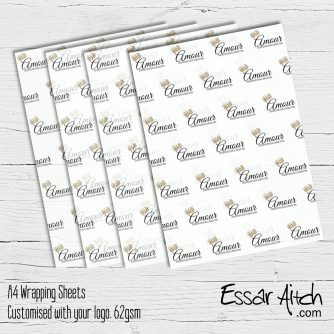 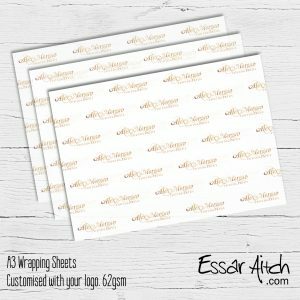 These are absolutely perfect for the inserts on my macaron boxes – the quality is fab and a quick turnaround from order to delivery !